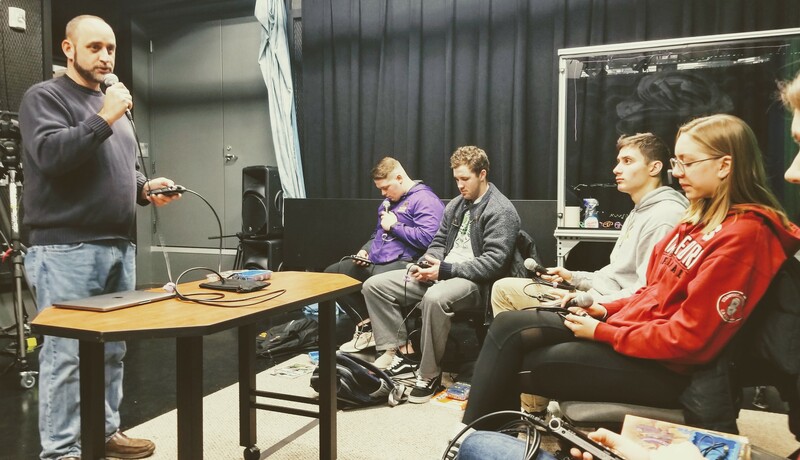 This January, six students embarked on an audio storytelling journey. In three weeks, they were charged with learning a ton about campus sustainability at Williams, choosing two interesting topics, interviewing people both on and off-campus to learn more, and creating two short and compelling audio stories/podcast episodes that would shine a light on sustainability at Williams, as help us all better understand what we’re doing well sustainability-wise as a college and how we can improve. The course, taught by the ZC Assistant Director Mike Evans, included an intro to Williams sustainability, as well as training on interviewing techniques and how to create interesting stories – both content-wise and sound-wise. Guest presenters included Patrick Gray, the Events, Classroom, and Studio Support Specialist in OIT who provided invaluable training on using mic and sound editing soft ware, Jay Corey Director of Videography for the college who provided great tips on interviewing, Amy Johns Director of the ZC who presented on Sustainability 101, Caroline Bruno who provided a glimpse into the breadth of sustainability by introducing the STARS assessment, and Korinna Garfield ’19 the ZC’s Sustainability Mapping Intern who lead a sustainability-themed campus tour. 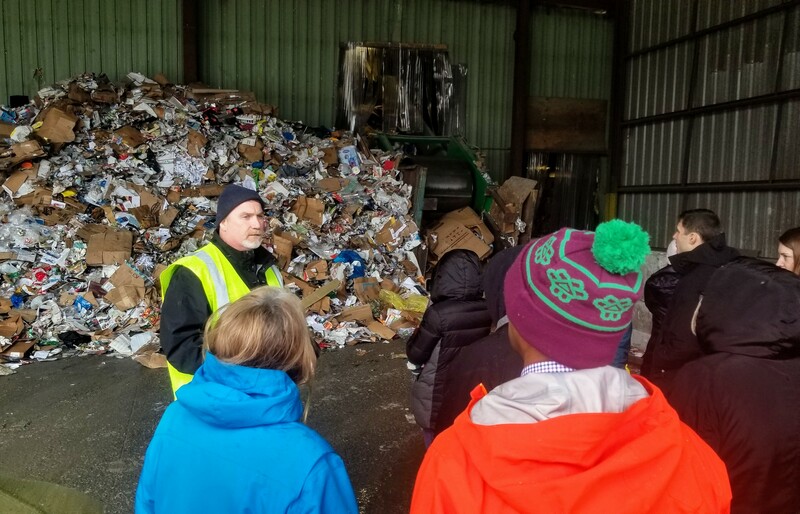 The class also visited T.A.M.’ s Recycling Center just over the border in Pownal VT – the first stop for all the college’s recyclables. The student podcast episodes covered a range of topics including rain gardens, lighting, carbon offsets, the decision-making that goes into building new buildings, composting toilets, where our energy comes from, the trade-offs that we need to consider when purchasing food, greening the chemistry labs, waste and the party culture at Williams, and why it’s so hard to do the right thing. In a few weeks these audio stories will be up on iTunes and the sustainability website. Stay tuned!